The informal design of the Jamestown collection combines effortless style with classic beauty. Inspired by the iconic look of American casual décor, the traditional form of this bath accessory collection mixes with subtle detailing to create a look that is both everyday chic and invitingly fresh. Multiple finishes available. 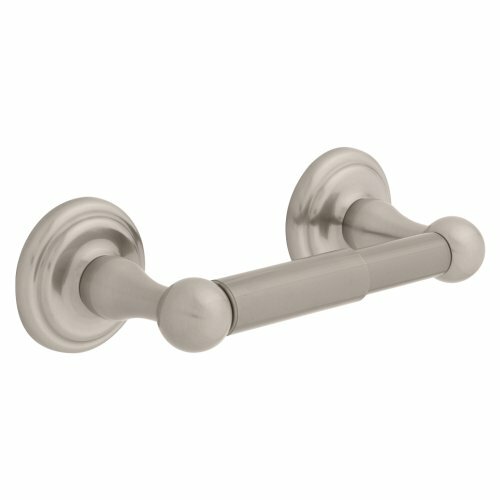 Jamestown, a fashionable Franklin Brass Collection, with effortless style and classic beauty , will help revitalize your bathroom accessories with coordinating 18" and 24" towel bar, double robe hook, towel ring, and toilet paper holder options, and is available in Polished Chrome, Satin Nickel and Venetian Bronze finishes..
his toilet paper holder takes up minimal space in a universal polished chrome finish.